Just came back from K44, where DIGITARIA held their WINTER GATHERING party, releasing the DRAGGING THE FORTIES Men’s & Women’s Collections. 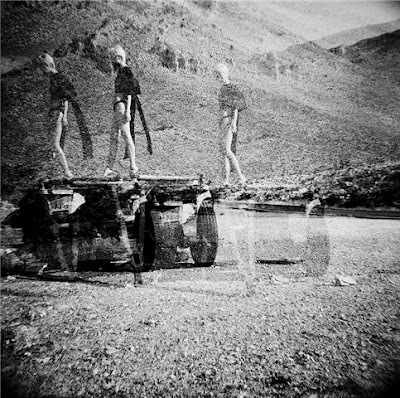 Famous for the same-name cult boutique in Soho of London (Style Bubble posted about it back in June) DIGITARIA is actually a Greek fashion label, created by Eleftheria Arapoglou and Stavros Karelis. 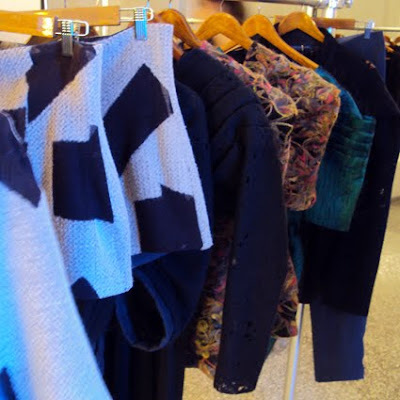 Some one-off pieces - exclusively made for the evening - were up for sale at the showroom. 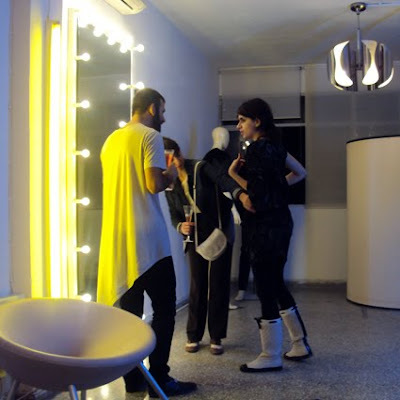 A gorgeous full-length illuminated mirror and a spacecraft-looking white changing booth, as well as Eleftheria herself (wearing her own amazing tulip-shaped shorts, below) were there to help anyone who wanted to try on the clothes. I suspect Alfredo didn't resist a little DIGITARIA something. Although I left too early to know, I'm sure he went home with that black lace men's scarf. 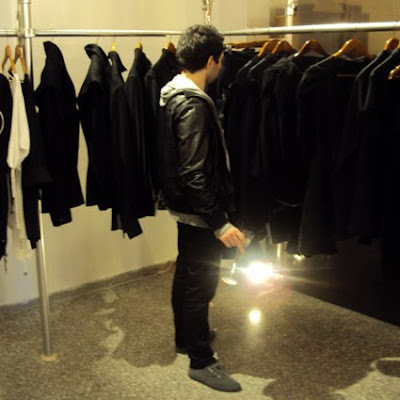 DIGITARIA's showroom at K44 (Konstantinoupoleos 44, Gazi) is open Monday-Wednesday-Friday afternoons. 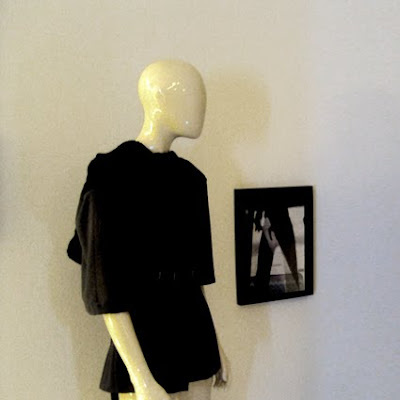 Better drop an e-mail to Eleftheria first (ria@digitariaworld.com) before you pop in to admire the clothes! i didn't know any of that, thanx for sharing! @Stella I feel a little guilty for not sharing the event earlier on the blog, so more people would know about it... Next time I'll be more organized! didn't make it to this gathering, but judging from the previous one and what I see in this post,it must have been great. I like Arapoglou's clothes, thx for sharing!